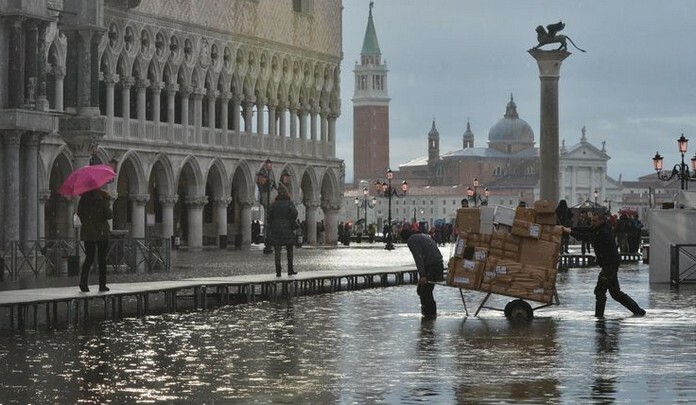 Acqua alta, or the “High Water,” can make Venice feel like Atlantis. 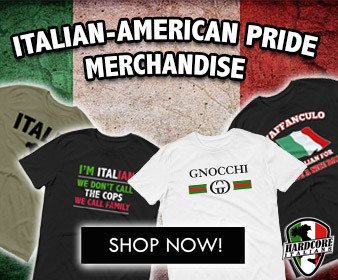 The phenomenon is often mistaken for proof that Venice is sinking. 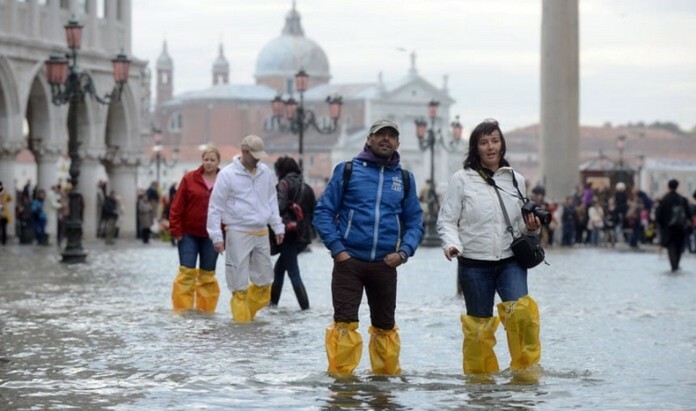 At its worst, in 1966, acqua alta flooded the city with more than a meter of salty lagoon water; more typically, visitors notice water splashing over canal banks or bubbling up through drains in the Piazza San Marco. Although the city did sink about 10 cm in the 20th Century because of industrial groundwater extraction, the sinking largely stopped when artesian wells on the mainland were capped in the 1960s. 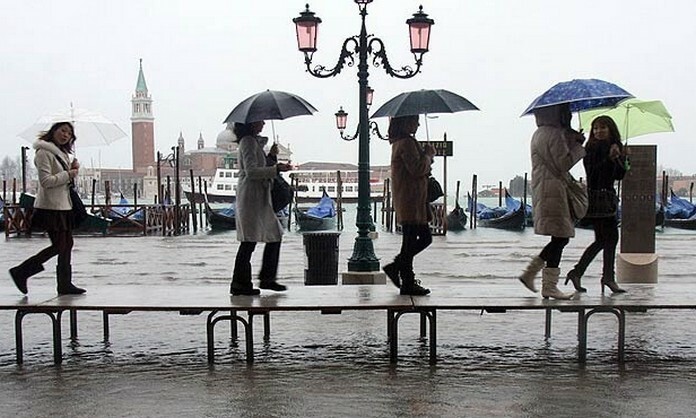 Today, subsidence is estimated at 0.5 to 1 mm per year, mostly due to geological factors and compression of the land beneath the city’s millions of wooden pilings. A larger problem is the rising sea level, which will become an even bigger threat as global warming melts the arctic ice caps. 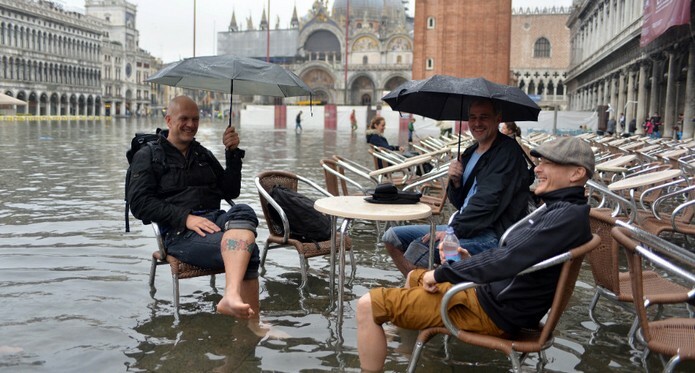 Already, the frequency of acqua alta has increased from fewer than 10 times a year to more than 60 times a year.